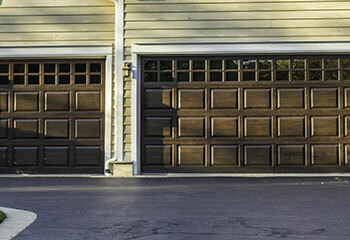 When it comes to repairing automatic garage doors, our professional team is one of the best ones around. We consider ourselves to be the very best, of course, but we don't want to come off as needlessly boastful. We prefer to let our actions speak for us. The following are examples of some of our latest projects. 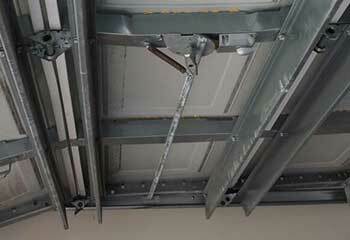 Customer Issue: The garage door opener wasn't able to perform adequately and could barely get the panels to move. Our Solution: The inspection started with the motor and continued up the drive system, until finally we discovered that the connection between the trolley and the door broke. 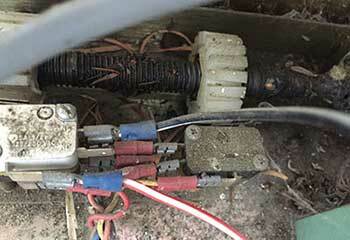 Replacing it fixed the problem and the garage door opener could do its job properly again. Customer Issue: Needed a new door system for a brand new wooden garage. 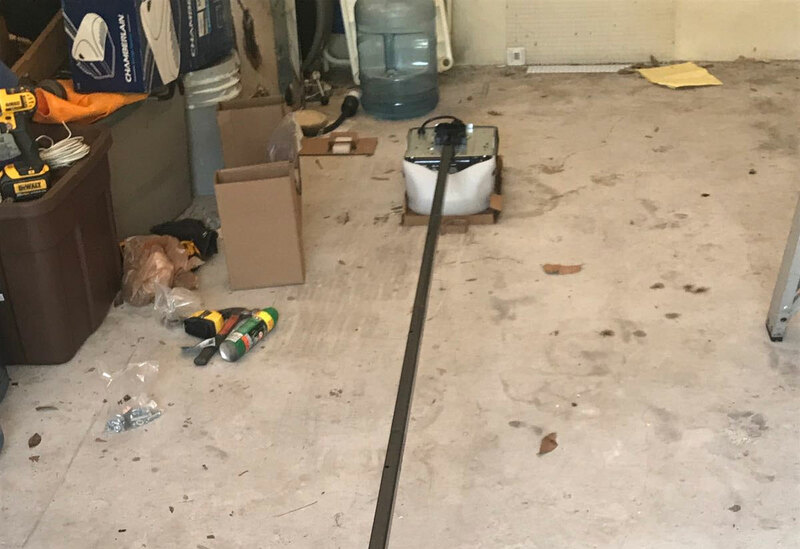 Our Solution: The customer asked for a quality product that would match the décor of his garage, so our team installed a silent LiftMaster 8550 belt drive opener, a complete door and track set from Clopay's Classic™ wood collection, a pair of torsion springs to support it. The new system works like a dream. Customer Issue: Mrs. Wade was unable to get her garage door opener to operate the door and called our team for assistance. 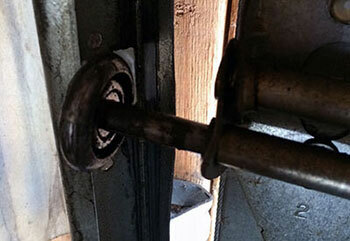 Our Solution: Our technician discovered excessive rust inside the customer's opener. He cleaned out the rust, applied a rust inhibitor, and the opener worked perfectly again. Customer Issue: Customer's door wouldn't open. Our Solution: We found that one of Mr. Chavez's torsion springs had snapped and the other was extremely weak. We replaced both springs, lubricated the applicable parts and tightened all bolts to make sure that the door worked properly. Customer Issue: Mr. Lawson couldn't get his door to close. Our Solution: Our technician checked Mr. Lawson's door mechanism carefully and discovered several cracked rollers were causing the problem. He replaced the rollers and cleaned the hinge, axle and tightened the screws for perfect operation.